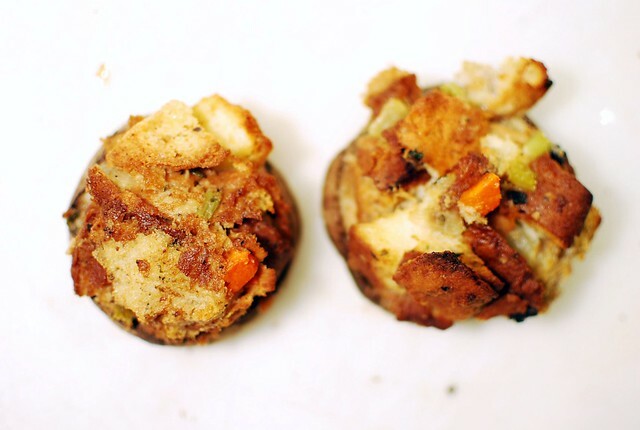 Remember yesterday when I made stuffing? Do you need something to do with your leftovers? You should do this. Actually, Alex made them, but you can too. Preheat the oven to 375. 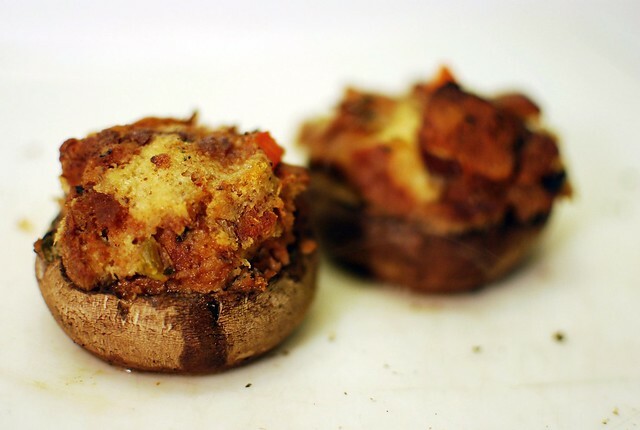 Pull out the stems and scrape off the gills of the mushrooms. 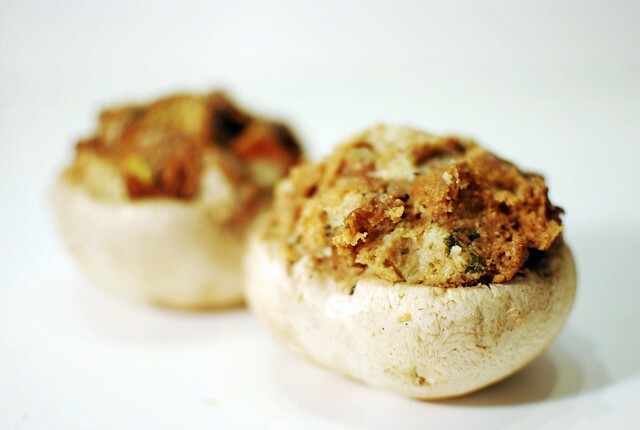 Form stuffing into little balls and place them into the mushrooms. Top with a pat of butter, and bake 20 minutes or so until browned. Eat! Maybe with cranberry sauce. So my twin brother is new to being gluten free and I'm searching for a stuffing replacement. He loved Stouffers, but I never tried it. Do you think your stuffing would be a good comparison? Its been like, 7 years since I've had it so I don't know! !